Named Restaurant of the Year, Table of the Year and #1 in Hotel Dining in the U.S., Fearing’s needed a website that lived up to its flavor. Caliber teamed up with Chef Dean Fearing to create a mouthwatering site that displays the restaurant’s perfect blend of innovative design, elevated cuisine and the true spirit of Texas hospitality. 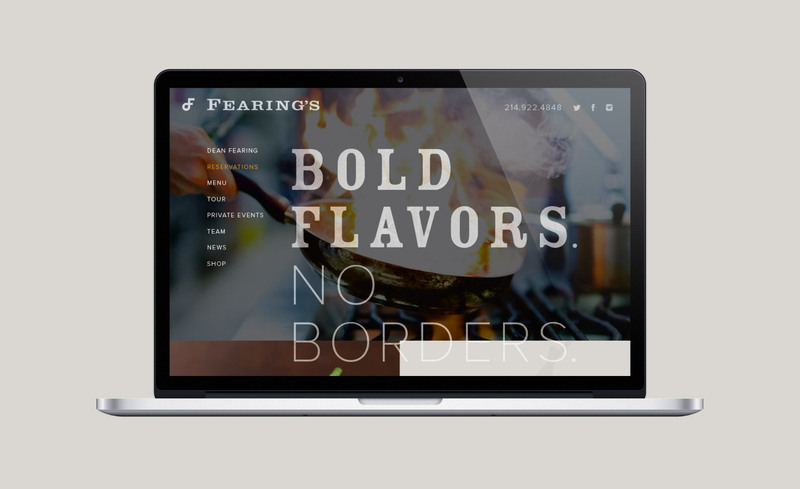 With on-site photography and up close videos, the new Fearing’s website captures everything that Fearing’s stands for, bold flavors with no borders.